The story follows 11-year-old Riley and the five emotions that guide her through life. 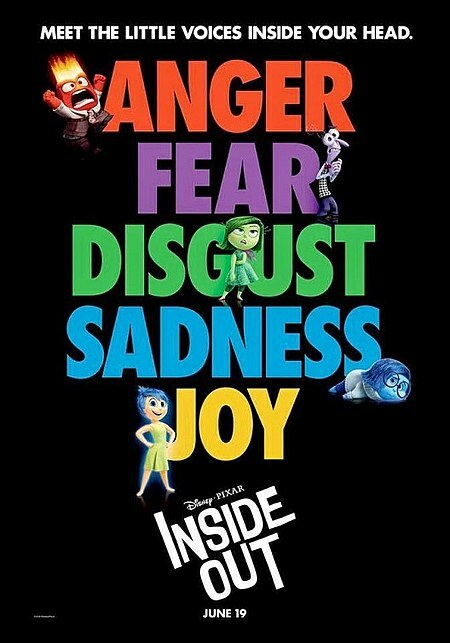 We see Joy, Fear, Anger, Disgust and Sadness voiced by some of the hottest names in the movie biz, Amy Poehler, Bill Hader, Lewis Black, Mindy Kaling and Phyllis Smith. As Riley learns her way around a new city, house and school, she tries to stay positive, but her emotions are disagreeing and creating conflict. We get more than just Riley though, this trailer shows us the inside workings of mom and dad, too. Bonus points for dad’s stache crew. I can’t wait for this! This entry was posted on Thursday, December 11th, 2014 at 3:37 pm	and is filed under Film, News. You can follow any responses to this entry through the RSS 2.0 feed. You can skip to the end and leave a response. Pinging is currently not allowed. « Film Review: ‘The Hobbit: Battle of the Five Armies’! !